GERARD BUTLER JOINS "MOTOR CITY"! 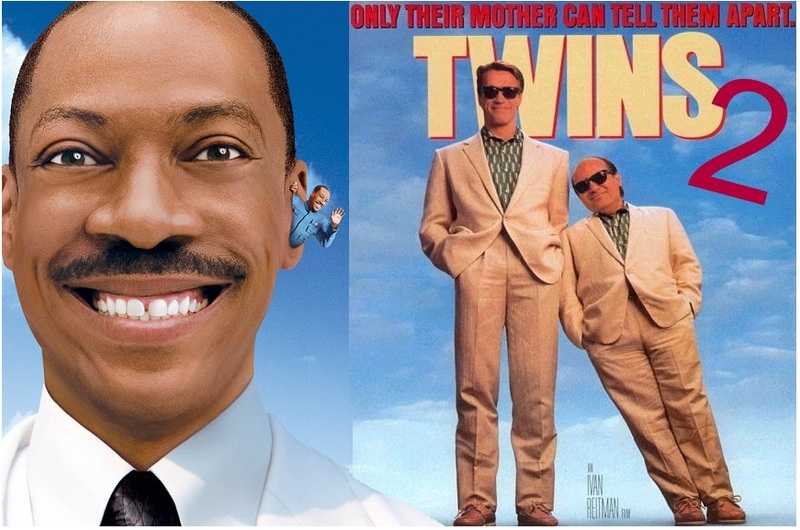 "TWINS" GET "TRIPLETS" SEQUEL WITH EDDIE MURPHY JOINING DANNY DEVITO & ARNOLD SCHWARZENEGGER! CHARACTER POSTERS FOR "DARK SHADOWS"
has left ARTHUR & LANCELOT epic due to scheduling conflict, just when the film was supposed to get back on track, and now MOTOR CITY has been left without Jake Gyllenhaal, who before that replaced Dominic Cooper. But unlike the above mentioned epic this one at least has a solution for the lead role and a worthy one: according to "Variety" Scotland's favourite Gerard Butler will take the lead in MOTOR CITY, an ex-con who goes on a quest for vengeance against the men who framed him and sent him to prison. 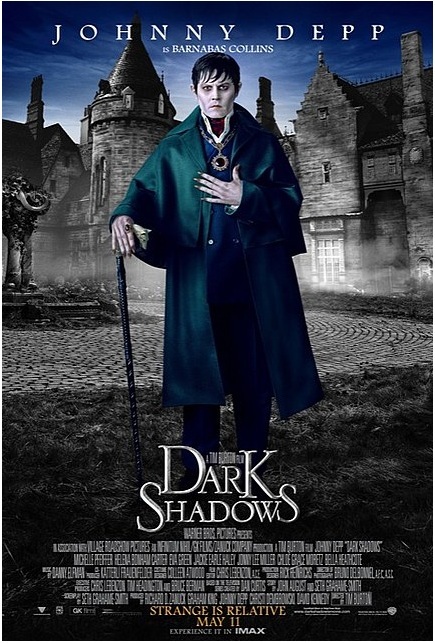 The cast will be also supported with Gary Oldman in the villain role and Amber Heard in the female lead. Although the plot doesn't sound overly interesting currently, the script was on the famous Black List back in 2009, the list of most promising and intriguing movie scripts. played twins who looked like total opposites - one being a muscular hulk and another a little penguin. 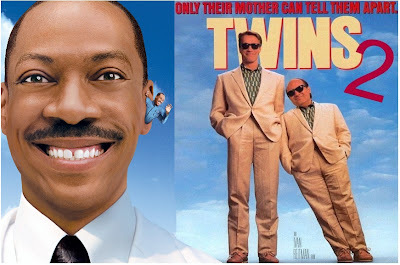 Now listen to this: "The Hollywood Report" writes today that the movie will reunite the two of them as brothers Julius and Vincent, conceived experimentally, who discover they have third sibling, who will be played by no other by Eddie Murphy! I'm not kidding. This is why TRIPLETS will be the title of the sequel. and Roger's precocious 10-year-old son, David Collins (Gulliver McGrath). 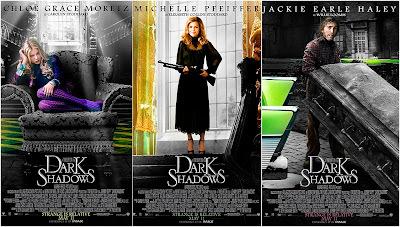 The mystery extends beyond the family, to caretaker Willie Loomis, played by Jackie Earle Haley, and David's new nanny, Victoria Winters, played by Bella Heathcote.Click on the posters to see them bigger. 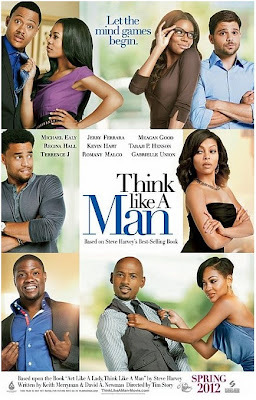 TRAILERS FOR "PEOPLE LIKE US" WITH CHRIS PINE, ELIZABETH BANKS, OLIVIA WILDE, MICHELLE PFEIFFER & "THINK LIKE A MAN" COMEDY! CALLAN MULVEY JOINS "300: BATTLE AT ARTEMISIA"
Pictures drama PEOPLE LIKE US (previously known as WELCOME TO THE PEOPLE), a story about family, inspired by true events, starring Chris Pine as Sam, a twenty-something, fast-talking salesman, whose latest deal collapses on the day he learns that his father has suddenly died. 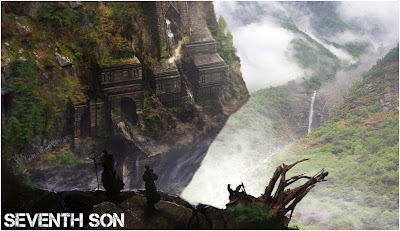 Against his wishes, Sam is called home, where he must put his father's estate in order and reconnect with his estranged family. 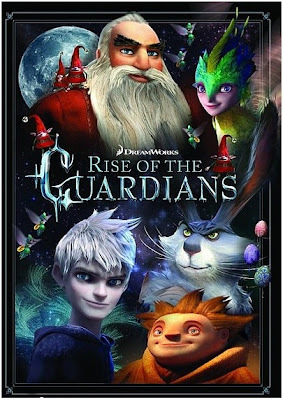 In the course of fulfilling his father's last wishes, Sam uncovers a startling secret that turns his entire world upside down: He has a 30-year-old sister Frankie (Elizabeth Banks) whom he never knew about. As their relationship develops, Sam is forced to rethink everything he thought he knew about this family, and re-examine his own life choices in the process. 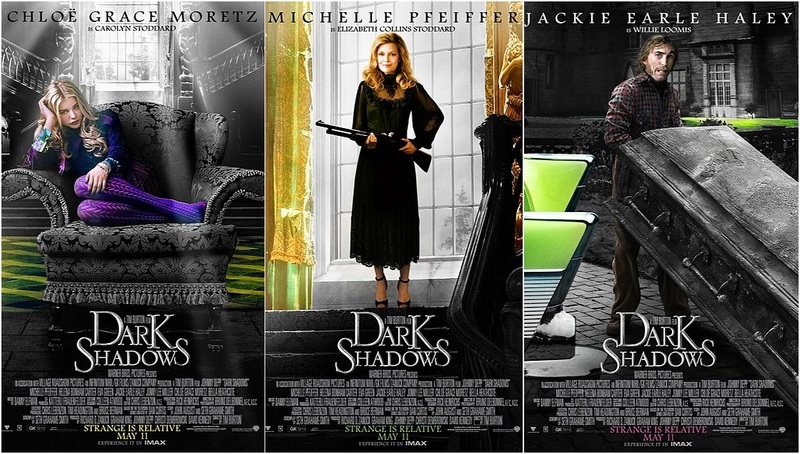 The cast also includes Olivia Wilde and Michelle Pfeiffer and the film hits cinemas this June. past describing the rise of Persian king Xerxes and his battle against Greeks at Artemisia. As you know Australian hunk Sullivan Stapleton has been cast as the Greek general Themistocles, while Eva Green will probably take the role of the evil sorceress Artemisia who convinces Xerxes to go into battle. Rodrigo Santoro will probably return as Xerxes and the new addition to the cast is Australian hunk Callan Mulvey whom my readers from Down Under and a lot of those in Europe remember from our teen years when we watched him as Drazic in famous teen series HEARTBREAK HIGH (which unlike most US teen shows, wasn't crappy nor superficial, but it followed tough life and real problems of kids alienated in today's world). the story follows four interconnected and diverse men whose love lives are shaken up after the ladies they are pursuing buy Harvey’s book and start taking his advice to heart. When the band of brothers realize they have been betrayed by one of their own, they conspire using the book’s insider information to turn the tables and teach the women a lesson of their own. The cast stars Taraji P. Henson, Morris Chestnut, Arielle Kebbel and always delightful Chris Brown... but it is interesting that the soundtrack to the movie will gather all the biggest r'n'b stars from Ne Yo and Keri Hilson to Luther Vandross, Kelly Rowland, Jennifer Hudson and John Legend. MINDBLOWING "RISE OF THE GUARDIANS" TRAILER WITH HUGH JACKMAN, JUDE LAW, CHRIS PINE! STUNNING CONCEPT ART FOR "SEVENTH SON" EPIC! JAMIE DORNAN & GILLIAN ANDERSON IN "THE FALL"
hunk Jamie Dornan out of the show. 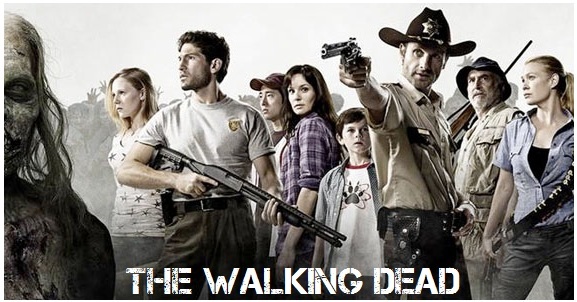 The producers say that he might come back in the fantasy part of the show, since he was killed only in the reality part. But until that happens, actor and supermodel Jamie Dornan has another project: according to "Digital Spy" he will join BBC's five part thriller THE FALL, in which X-FILES Gillian Anderson will star as DSI Gibson, a detective in pursuit of a deadly serial killer, while Dornan will play her quarry Paul Sector, who stalks his victims in and around Belfast. preparing to unleash her terrible wrath on an unsuspecting world. Only one thing stands in her way: Master Gregory. In a deadly reunion, Gregory comes face to face with the evil he always feared would someday return. Now he has only until the next full moon to do what usually takes years: train his new apprentice, Tom Ward (Ben Barnes) to fight a dark magic unlike any other. Man's only hope lies in the seventh son of a seventh son. The cast also includes GAME OF THRONES Kit Harington. might helm the film adaptation of GARLIC AND SAPPHIRES, Ruth Reichl’s "New York Times" best-selling book which recounts the “adventures in deception” as the NY Times’ restaurant critic goes undercover to the world’s finest culinary establishments. To go unrecognised, she assumes the persona of a nouveau riche widow. And one of our fave British gents Rupert Penry Jones, has a new project: according to "Digital Spy" he and Shaun Evans will star in THE LAST WEEKEND ITV's suspense thriller which follows two couples with a shared history on holiday in Suffolk over a bank holiday weekend. Evans plays a working class primary school teacher, who made friends with the sporty and privileged Ollie (Penry-Jones) at university. The men's competitive edge, a resurrected old bet and returning sexual tensions result in a horrendous and catastrophic outcome for both couples. lavish five-stake resort, where monsters and their families can live it up, free from meddling from the human world. But here's a little known fact about Dracula: he is not only the Prince of Darkness; he is also a dad. 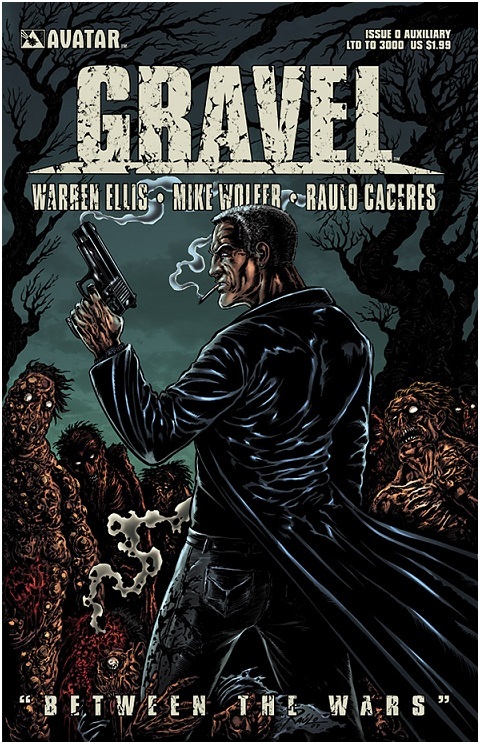 Over-protective of his teenage daughter, Mavis, Dracula fabricates tales of elaborate dangers to dissuade her adventurous spirit. 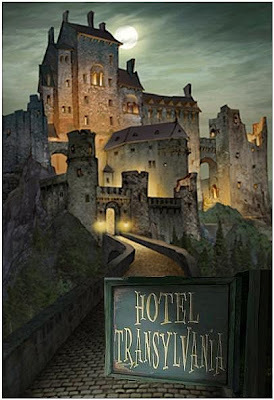 As a haven for Mavis, he opens the Hotel Transylvania, where his daughter and some of the world's most famous monsters – Frankenstein and his bride, the Mummy, the Invisible Man, a family of werewolves, and more – can kick back in safety and peace. ED SPELEERS JOINS "DOWNTON ABBEY"! CATE BLANCHETT TO DIRECT HER 1ST FILM "THE TURNING"! MATTHEW MACFADYEN IN "RIPPER STREET"! FABULOUS TRAILER FOR SERBIAN BLOCKBUSTER "LOVELESS ZORITSA"
Our beloved Cate Blanchett hasn't made any nice films for quite some times now, and the only thing to warm our souls is her appearance as Elven queen Galadriel in Peter Jackson's THE HOBBIT this winter, but it seems she will now take a director's chair too: alongside some other Australian stars like Mia Wasikowska and her colleague from LORD OF THE RINGS David Wenham, Blanchett will direct a segment in the film adaptation of THE TURNING, a collection of short stories by Tim Winton. Speaking of British TV series, one of the upcoming ones will be RIPPER STREET at BBC, an eight part series set in 1899 London, in the aftermath of the Jack The Ripper murders, and it will focus on H Division, the notorious police precinct charged with keeping order in Whitechapel. British star Matthew MacFadyen is taking the lead role alongside GAME OF THRONES Jerome Flynn and MyAnna Buring from the TWILIGHT crapfest :)PS A few days ago we saw the first horrid look of Hugh Jackman from the LES MISERABLES, and now you can click to see how Russell Crowe looks like in the film as Inspector Javert. charming Serbian film for you. 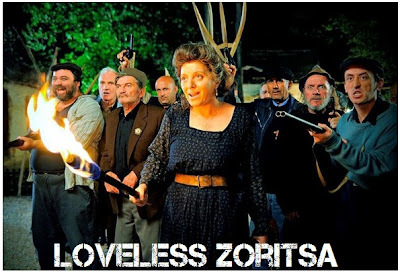 Currently showing in Serbian cinemas, LOVELESS ZORITSA is a delightful black comedy with fantasy elements following Zoritsa, a village girl who bears an extraordinary curse: Since her first love got mysteriously drawn in the river, men around her die in a strange way. The raged villagers name her "the kiss of death". 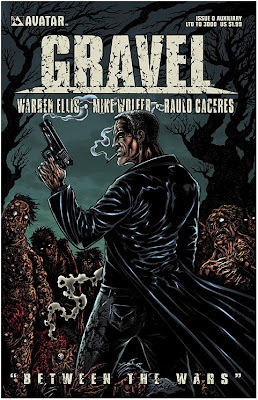 The case is in the hands of Mane, the stubborn, young, newcomer cop from Belgrade, temporarily working in the "haunted village". Mane doesn't believe in such "mumbo-jumbo" stories. Soon he will have to face the heavily armed villagers, and he'll also have to answer the crucial question: Is Zoritsa a serial killer or just a girl who yearns for love? OSCAR ISAAC JOINS TOM FELTON & GLENN CLOSE IN "THERESE RAQUIN"! 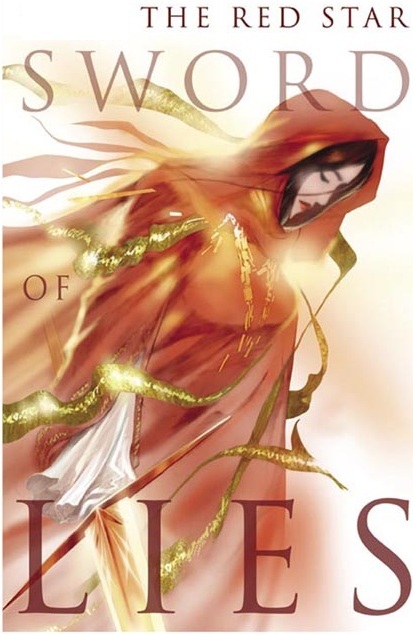 WARNER BROS. TO ADAPT SF SAGA "FOURTH REALM"! 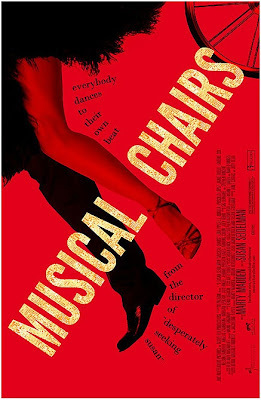 DEEPLY INSPIRING TRAILER FOR "MUSICAL CHAIRS"! EXPECTATIONS and Jude Law and Aaron Johnson's ANA KARENINA, one of the upcoming classic novel film adaptations is THERESE RAQUIN as well. As you know it is based on the famous novel by Emile Zola, in which Elizabeth Olsen plays the title character, who is trapped in a loveless marriage to her sickly first cousin, Camille (Tom Felton), and living with his mother (Glenn Close). She begins an illicit love affair with Camille’s friend Laurent, which leads to a tragic outcome for all three. Now, the latest update from "Deadline" is that Oscar Isaac (ROBIN HOOD, SUCKER PUNCH, AGORA) has won the role of Laurent. 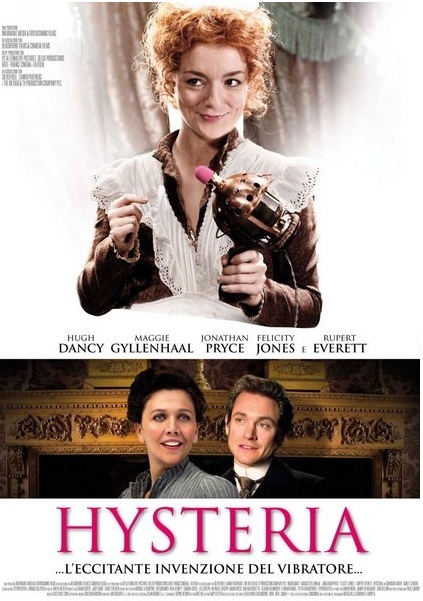 It is interesting that Kate Winslet was for a long time set to play the title role, and later on Jessica Biel was in plan together with Gerard Butler as Laurent. "The Traveler", the first book in the series. The novels are set in the near future, and reinterpret history as a battle between the forces of control. There is the Tabula, which manages society through constant observation, and the Travelers, a nearly extinct group of people who can project their spirit into other dimensions. 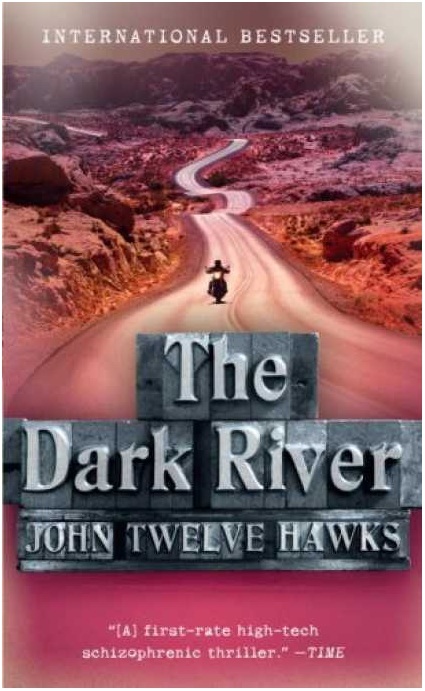 The series continued with the novels "The Dark River" and "The Golden City". They’ve been published in 25 languages and sold more than 1.5 million books. The author is known for being extremely mysterious, nobody knows his real name nor identity and he communicates with publishers and media only by email or by untraceable satellite calls for which he uses a voice scrambler. following Armando, a Bronx-bred Latino who aspires to be a dancer but whose only way in is as handyman at a Manhattan dance studio, and Mia, an Upper East Side princess who is the studio's star performer. Though worlds apart, their shared passion for dance promises to bring them together until a tragic accident changes Mia's life forever, and she finds herself wheelchair bound at a rehab facility, with her dreams of a dance career shattered. Fortunately, Armando has enough dreams for both of them and, when he hears about a wheelchair ballroom dance competition that will soon be held in NY, he sees a way to return something to Mia that she thinks is lost forever. At first she is reluctant, wheelchair dancing, though highly popular overseas, is something she never even knew existed. But, with the help of several other patients at the rehab center, Armando organizes an intense training program that will bring them all center stage and in the spotlight. The prize is irrelevant; what they really stand to win back is their zest for life. Since you know HOLLYWOOD SPY fights for positive and heart warming films instead of the dark and morbid ones we are bombarded with these days, today I present you with a spotlight on some of the most delightful films waiting to premier this spring: the ones which will brings us either laughs, tears or inspiration. passionate about life. Diagnosed with a terminal illness, she determines to use every moment, compiling a catalogue of what normal teenager would experience, including losing her virginity and taking drugs. With the help of her friend, she sets the list in motion. And while her parents and brother each deals with their fear of losing her in their own way, Tessa explores a whole new world, determined to live every day as intensely as possible. 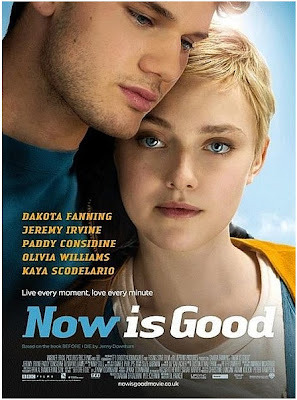 Falling in love with Adam (Jeremy Irvine), her new neighbor, wasn't on the list, but it proves to be the most exhilarating experience of them all. DID YOU KNOW? Scoring huge role in Spielberg's WAR HORSE, young Jeremy Irvine will appear this year in GREAT EXPECTATIONS and then next year in WW2 epic THE RAILWAY MAN next to Colin Firth and Nicole Kidman. All of you who liked SILENCE OF THE LAMBS and other films on Hannibal Lecter will probably watch HANNIBAL TV show which is being prepared over at NBC. Their television adaptation of RED DRAGON novel by Thomas Harris will have a story revolving around the budding relationship between FBI agent Will Graham and his mentor Dr. Hannibal Lecter. The new update is that always delightful Hugh Dancy has been now cast for the role of Will Graham, while Lecter is yet to be found. The show is being produced by Bryan Fuller most famous for PUSHING DAISIES. 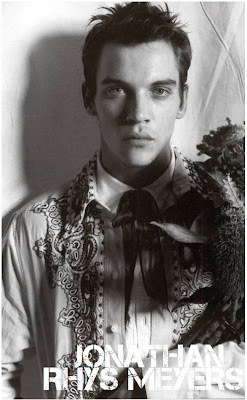 We've seen Dancy before in ELISABETH I, CONFESSIONS OF A SHOPAHOLIC, ELLA ENCHANTED, KING ARTHUR. He is also known as the husband of Claire Danes. the boxing world by returning to his corner in the November rematch, saying 'no mas' (no more). Their fight is considered one of the greatest mysteries in the boxing history. Now listen to this: Gael Garcia Bernal will play Duran, r'n'b star Usher is set to play Leonard, Al Pacino will play his trainer, while TRUE BLOOD star Ryan Kwanten will play one of Duran's English rivals in the ring. in a year (March 2013) the film brings a sf story in which our world has been invaded by an unseen enemy. Humans become hosts for these invaders, their minds taken over while their bodies remain intact and continue their lives apparently unchanged. Most of humanity has succumbed. When Melanie, one of the few remaining wild humans is captured, she is certain it is her end. Wanderer, the invading soul who has been given Melanie's body, was warned about the challenges of living inside a human: the overwhelming emotions, the glut of senses, the too vivid memories. But there was one difficulty Wanderer didn't expect: the former tenant of her body refusing to relinquish possession of her mind. 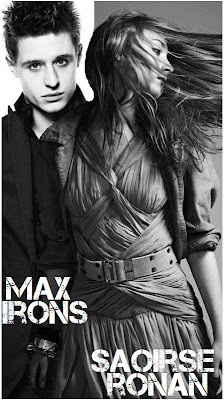 The lead roles are portrayed by Saoirse Ronan and Max Irons (who was shockingly horrid in RED RIDING HOOD) alongside Jake Abel, Diane Kruger, William Hurt. TONI COLLETTE IN "ALFRED HITCHCOCK & THE MAKING OF PSYCHO"! ADAM LEVINE JOINS "AMERICAN HORROR STORY"! OLIVIA WILDE RETURNS TO "HOUSE"! 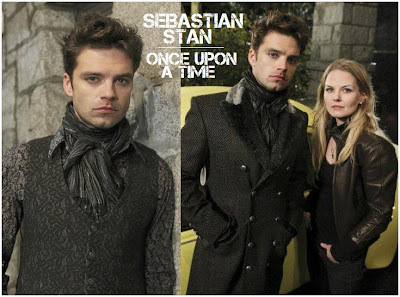 SEBASTIAN STAN MAD HATTER IN "ONCE UPON A TIME"! NEW FILM ON ORWELL'S "1984"
First I have a slate of casting news for you today, people: ultra talented Toni Collette has joined Anthony Hopkins and Helen Mirren in ALFRED HITCHCOCK AND THE MAKING OF PSYCHO which will follow the director's making of the famous horror film. 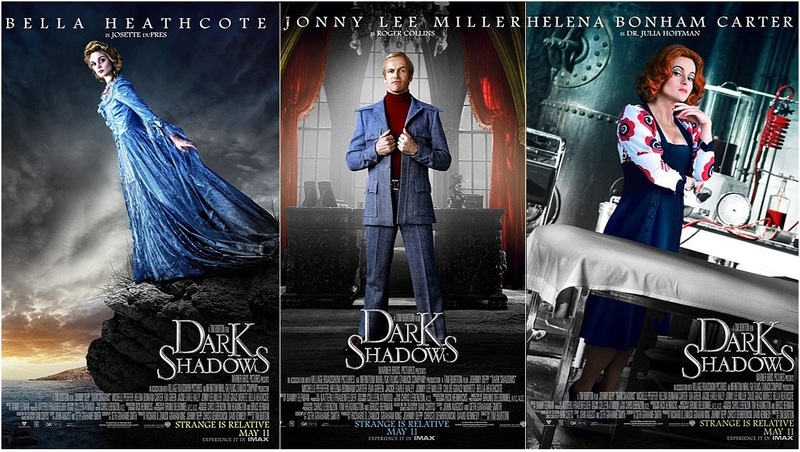 The cast, in which Toni plays Hitchcock's assistant, also includes Scarlett Johansson as Janet Leigh, Jessica Biel as Vera Miles and James D'Arcy as Anthony Perkins. 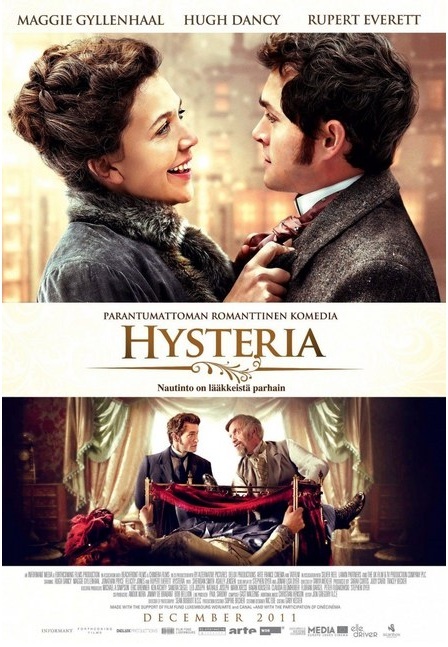 Meanwhile, Akiva Goldsman's complex fantasy film WINTER'S TALE set in the 19th century and following a thief who breaks into a Manhattan mansion and falls in love with the heiress (Jessica Brown Findlay from DOWNTON ABBEY) just before she dies, but then discovers he has the gift of reincarnation, and becomes determined to bring her back to life, now has Aaron Johnson and Garrett Hedlund competing for the lead role, while Will Smith and Russell Crowe are already in the cast of this film mixing reality and fantasy. how the Hatter became Mad, and his Storybrooke counterpart will also do some mad things like kidnapping Emma (Jennifer Morrison). In another piece of TV news, super hot Olivia Wilde will return to HOUSE in the series finale. It is not known how exactly she will be brought into the story, since House has relieved her from her work and the show, but she is coming back for the final episode in May. When it comes to movie adaptations of legendary books, it seems George Orwell's famous novel 1984 will be made into a Ron Howard and Brian Grazer movie. The classic novel takes place in a dystopian society in a perpetual state of war, which in turn leads to a state of paranoia. It follows Winston Smith, who works for a government branch called the Ministry of Truth, where he alters facts and histories but secretly harbors desires of rebellion (as well as desires of a forbidden love affair). screenwriter Brian Helgeland, has sold his fantasy script for a movie called SLAYER to Legendary Pictures. The story is set in modern day, and centres on a doctor whose father recently passed away. He discovers that his estranged dad was actually a slayer of dragons and other evil creatures, and comes to learn that he must also become a slayer. Martin's bigshot daddy will off course produce the flick. 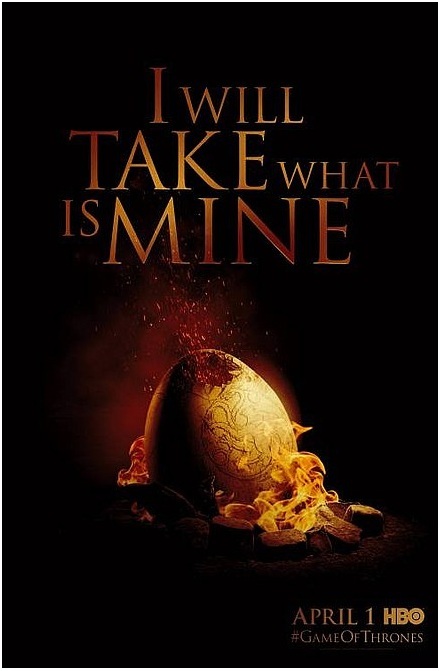 Speaking of dragons, check out the second poster for GAME OF THRONES season two focusing on a dragon egg and Daenerys Targaryen's bid for the Iron Throne. about it, is the movie adaptation of THE RED STAR comic which has just gotten its director: as "Deadline" claims, Josh Trank, who's just had a hit with sf film CHRONICLE will helm it. The film will be set in an alternate Russia which touts highly advanced futuristic technology along with magical elements. The story centers around a Russian soldier and his wife who get caught in the middle of a war between his country and a former Russian leader. 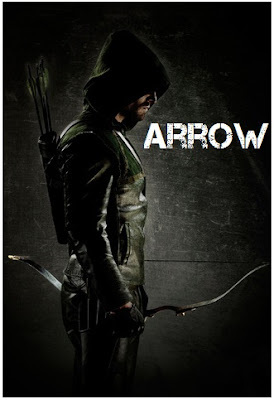 The comic book has sold millions of copies around the world so far. One of Josh Trank's future projects also includes the reboot of THE FANTASTIC FOUR. IDRIS ELBA AS EGYPTIAN PHARAOH IN "ASCENSION" MINI SERIES! 1ST PIC OF CW'S "GREEN ARROW"! TRAILER FOR KATE HUDSON'S "A LITTLE BIT OF HEAVEN"! "RODDENBERRY'S "DAYS MISSING" SF TV SHOW? TARSEM HELMS "EYE IN THE SKY"? future. 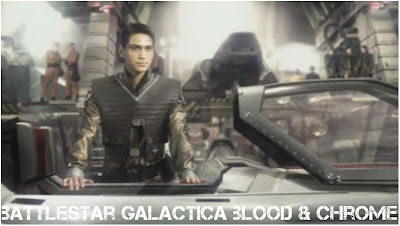 The story of the mini series revolves around the history and future of astronomy and mankind’s impulse for the stars. 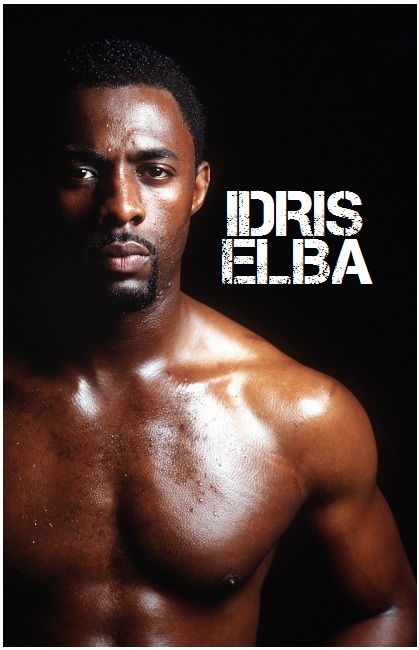 Idris Elba is considering a potential double role in the project, as the Egyptian polymath Imhotep in 3000 B.C. as well as a brilliant astronomer in the near future. Meanwhile, "Collider" reports that IMMORTALS and MIRROR MIRROR director Tarsem might helm EYE IN THE SKY, a gripping international thriller that follows a group of characters around the globe as they are each impacted by the decision to drop a drone missile on a house in East Africa. The film is supposed to have amazing 62 roles! missing" recorded in the annals of The Steward's library, represent a lost human history that explains much more about who we are than we ever knew. PS and click to see the first look of Hugh Jackman in LES MISERABLES, but only and ONLY if you have guts for it - you won't believe what they did to him, you won't! I dare not look upon it again. Hudson in a role a bit more serious than we are used from her. A LITTLE BIT OF HEAVEN is a love story set in New Orleans about an irreverent young woman who unexpectedly falls in love with her doctor. Marley Corbett (Kate Hudson) is young, beautiful, and wildly funny, but she's afraid of opening herself up to true love and commitment. Though she uses her humor to prevent matters from getting serious, a life-changing visit to her doctor (Gael Garcia Bernal) sends both of them on an eye-opening adventure of mutual discovery, leading to revelations neither thought possible. 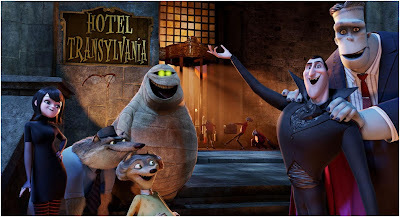 The cast also includes Whoopi Goldberg and Kathy Bates. HOLLYWOOD SPY'S BEST ACTORS WHO'VE NEVER WON AN OSCAR ARE JONATHAN RHYS MEYERS, TONI COLLETTE, GLENN CLOSE AND EWAN MCGREGOR! We've been choosing the best actors who've never won an Oscar for three months now, and the winners of the last round are here: Jonathan Rhys Meyers (25%), Toni Collette (19%), Glenn Close (16%) and Ewan McGregor (16%). Stunningly charismatic Jonathan Rhys Meyers has been around for quite some time, but his breakthrough was the mesmerizing role of king Henry in the worldwide famous series THE TUDORS. I personally adored his breathtaking roles as king Philip of France in THE LION IN WINTER next to Glenn Close and Patrick Stewart, and his haunting role in THE EMPEROR'S WIFE, his naughty role in MATCH POINT, his deeply touching role in Chinese epic THE CHILDREN OF HUANG SHI, his role in TITUS. Come to think of it, these are all some of my favourite movies ever, so I strongly recommend them to you. We've also seen him in ALEXANDER, VANITY FAIR, THE MAGNIFICENT AMBERSONS .... We've seen him next to Glenn Close again in ALBERT NOBBS. The two of them have never won an Oscar! Never! 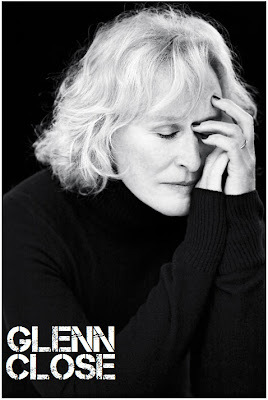 getting an Oscar for her legendary roles in HOUSE OF THE SPIRITS (it's my favourite of her work, the role of a quiet sister in the sweeping saga next to Jeremy Irons, Meryl Streep and Antonio Banderas), in DANGEROUS LIAISONS (nobody could've done the role better than her), in the EVENING (in which she played both with Meryl Streep and Toni Collette), in PARADISE ROAD (do you remember her stunning role in the story of a group of women who are imprisoned on the island of Sumatra by the Japanese during World War II? ), and in HAMLET (next to Kenneth Branagh and Kate Winslet as the most magnificent queen Gertrude). I myself loved her best as Queen Eleanor of Aquitaine in the best mini series ever LION IN WINTER (in which she played next to Patrick Stewart and the above mentioned Jonathan Rhys Meyers). legendary, ground breaking, soul shaking, heart warming, mind blowing performance in utterly divine MOULIN ROUGE (in which he also sang with his mesmerizing, heartfelt voice), not for his recent, brilliant work in BEGGINERS and PERFECT SENSE, not for YOUNG ADAM, BIG FISH and NORA in which he played James Joyce, not for EYE OF THE BEHOLDER nor VELVET GOLDMINE, nor STAY. And to make things even worse, his best friend, Jude Law, the two of them being two of the most talented actors under 50 in the world, has not received an Oscar either. Am I crazy, do I have a bad taste or lack of judgement, or is the Academy just a rotten nest which gives out awards mostly to their undeserving pets? Leaving serious topics aside, next month we shall go for something more eye pleasing and much more teasing :) We will be choosing BEST TV HUNK among the shows which have been shining in season 2011/2012. 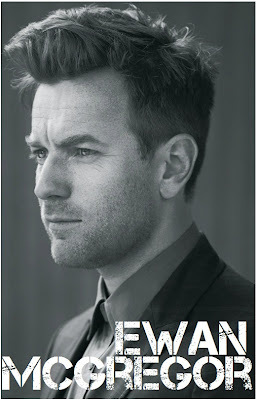 So, here are the candidates and vote on as much as you like: John Hamm (MAD MEN), Jason O'Mara (TERRA NOVA), Dylan McDermott (AMERICAN HORROR STORY), Bradley James (MERLIN), Josh Dallas (ONCE UPON A TIME), Liam McIntyre (SPARTACUS VENGEANCE), Jim Caviezel (PERSON OF INTEREST), Damian Lewis (HOMELAND), Andrew Lincoln (THE WALKING DEAD), Kit Harington (GAME OF THRONES), David Oakes (THE BORGIAS). TRAILERS FOR KATHLEEN TURNER'S "THE PERFECT FAMILY" & JESSEE MCCARTNEY'S "CHERNOBYL DIARIES". MICKEY ROURKE IS THE DEVIL IN "DEAD IN TOMBSTONE" MERLE RETURNS TO "THE WALKING DEAD"
One of the films I've reported about a couple of times last year, since it was shot here in Serbia, CHERNOBYL DIARIES has finally released its first trailer. 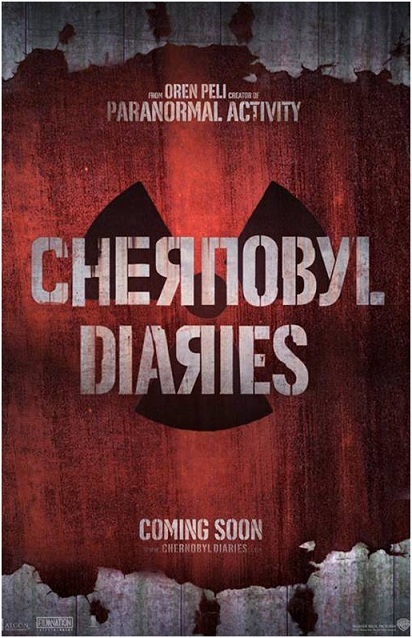 Coming from Oren Peli, the director of PARANORMAL ACTIVITY, and premiering this May, the story of this horror film revolves around a group of young friends who find themselves stranded in the abandoned Russian town of Pripyat, near the Chernobyl nuclear disaster site, and they discover they are not alone. I'm guessing they've chosen Serbia's capital Belgrade to shot the film there since it still has countless ruins left after the Americans have bombarded one of the biggest cities in that part of the Europe turning centuries old buildings, bridges, schools, houses and monuments into rubble and dust quicker than any nuclear catastrophe would do it. The cast of the film is lead by handsome pop star Jesse McCartney. run of the show. The Michonne woman, who appeared in the finale, an utterly crazy woman wielding a katana (she lead two zombies on a chain, apparently her boyfriends whom she cut off arms and jaws so that they couldn't bite her after they've become zombies), played by Danai Gurira, has been officially added to the third season cast as well, and will become a regular. MOM. She plays a suburban mother and devout Catholic Eileen Cleary who has always kept up appearances. When she runs for the Catholic Woman of the Year title at her local parish, an award she has coveted for years, her final test is introducing her family to the board for the seal of approval. Now she must finally face the nonconformist family she has been glossing over for years. Her gay daughter, Shannon (Emily Deschanel), a successful lawyer, is about to marry her life partner Angela (Angelique Cabral). Her unhappily married son Frank Jr. (Jason Ritter) is cheating on his wife with the local manicurist. And Eileen's own marriage to a recovered alcoholic is pulling at the seams.... 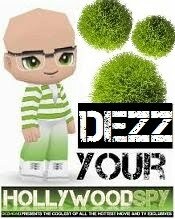 The film is out this May.